Crowe, Michael J., ed. Ronald Knox and Sherlock Holmes: The Origin of Sherlockian Studies. Indianapolis: Gasogene Books, 2011. Msgr. Ronald Knox (2/17/88-8/24/57) was a prolific author whose other work included detective fiction, religious works, satire, and a translation of the Vulgate. When I look at my Sherlockian bookshelf, that sacred space in the “dining” room, upon which all are forbidden to place toys, Pokemon cards, MTG decks, Lovecraft volumes or–horrors! cups–I see several books I will never be clever enough to review. There’s the one with Sherlock Holmes and chess, another one with logic,¹ and yet another on Victorian detective novels and the “nature of evidence” which is not, as I assumed, about police procedure.² At some point, I will order Umberto Eco and Thomas Sebeok’s book, The Sign of Three: Dupin, Holmes, Peirce (Advances in Semiotics) because I used to work with Peirce’s writings, but I wont be able to get beyond names I know in the acknowledgements and appreciating the hard work it took to make all of those equations and diagrams.³ Today’s review book fits into this category as well, and not only because it’s smart. Instead, I find it daunting because it’s written by Msgr. 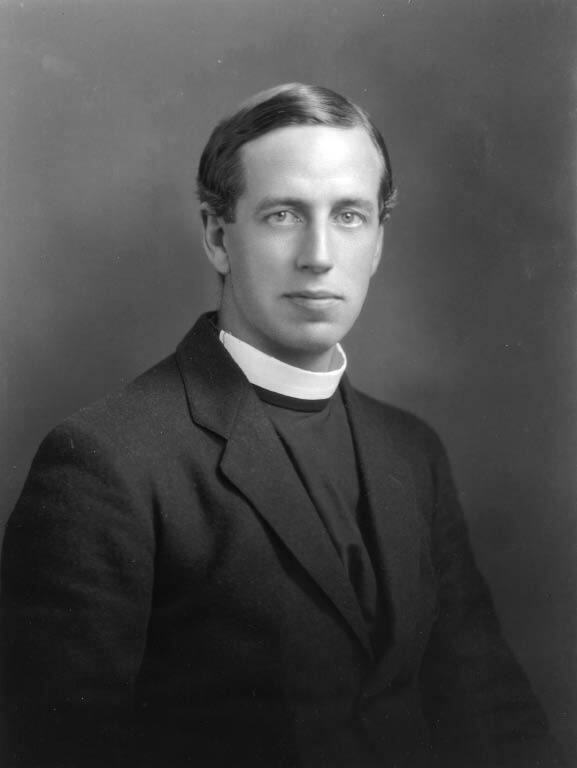 Ronald Knox.⁴ As I tried to explain to my husband, being asked to review something by Ronald Knox feels akin to being asked to review, oh, I dunno….The Gospel According to John (God, post-33 AD). In the immortal words of gobsmacked people on Twitter, “I can’t even.” But I can tell you all about it, and that’s better. If you’ve been a Holmes fan for very long at all, you’re undoubtedly aware of “The Game.” Players work under the (true) assumption that Holmes, Watson, and Co. are real people,⁵ and that Sir Arthur Conan Doyle was simply Dr. Watson’s literary agent. They then use whatever information they can gather from the canon to divine all sorts of facts about such mysteries as Holmes’ childhood, Watson’s love life (and vice versa), or the true identity of Irene Adler *koff! *Lillie Langtry*koff!*. They puzzle out chronologies, actual places, true crimes…whatever strikes their fancy, and it’s all fine as long as one can produce the evidence. That Dr. Watson was, for whatever reason, not the most detail-oriented of Boswells meshes perfectly with what seems to have been, from the beginning, a detail-oriented fandom. 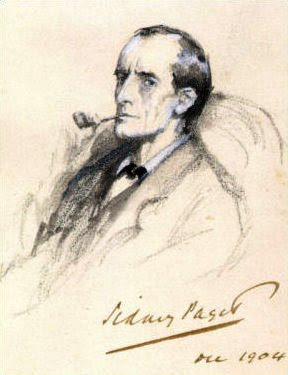 According to editor Michael J. Crowe’s excellent introductory essay, Knox began playing The Game very early, when he and his three older brothers actually wrote to Sir Arthur pointing out some problems with the bicycle tire deductions in “The Adventure of the Priory School.” His seminal Holmesian⁶ work, however, is the essay, “Studies in the Literature of Sherlock Holmes,” written to fulfill Oxford’s requirement that its dons read papers of their own composition to their colleges’ undergraduate societies. Originally meant as a satirical look at contemporary developments in Biblical scholarship and their impact on religious teachings, the paper proved very popular among both theological and secular groups and was eventually published several times, first in the 1912 Oxford Blue Book. It is this essay scholars consider the foundation of The Game and all of the Holmesian/Sherlockian scholarship that came after, making Ronald Knox the founder, in 1911, of the world we’ve now enjoyed for a century. Crowe tells us Knox wrote “Studies” at a time in which he and others were struggling with the direction Biblical textual criticism was heading. What had seemed a fresh, intellectual, even scientific approach some thirty years ago had led to a widespread questioning of essential doctrine which many, including Knox, found disturbing. If, like me, you are of a religious bent, you’ll find this section of the introduction fascinating. Nothing changes. Old soldiers give way to new, but the battles are the same. Yes, the entire essay is like this. You’ll learn why Knox believes Watson’s stories vary so much in quality, what Holmes has in common with Socrates, and the role of the Greek chorus in the canon. The bowler hat is examined in great detail, much as a certain “hard felt hat” was in BLUE. Holmes’ humanity is considered, as are his methods. He would be gratified to know that LeCoq is always depicted as his inferior. “Studies in the Literature of Sherlock Holmes” is at once so tongue-in-cheek and so serious that it’s mesmerizing, and it’s easy to see how others were inspired to apply these same methods to their own investigations. After discussing the analytical nature of the genre and its need to provide answers, he then posits it as a game in which the author must play fairly. This means, among other things, no twins, no ghosts, and no secret passages unless they have a reason to be there. 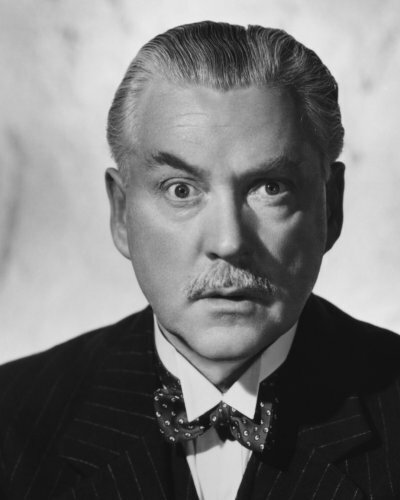 As for chemistry, technology, medicine, etc., he reminds readers of Dr. Thorndyke, who requires readers “to go through a long science lecture at the end of the story in order to understand how clever the mystery was.” * It’s a very witty examination; his observations ring just as true today as they did in 1928. Fortunately, however, writers are clever (or readers tolerant) enough that his prediction that the genre’s possibilities will be exhausted has not yet come to pass. If you’re going to argue, be sure to choose your “disputatious” pipe. “Studies in the Literature” is a remarkable effort. But I have to say that the next essay in the book is my favorite, for three reasons. It’s incredibly clever; it takes everything you think you know and turns it on its head; and, finally, it takes a theory I once dismissed out of hand and convinces me that it may well be true. Thanks to Granada, myriad pastiches, and now, BBC Sherlock, we’re accustomed to think of Mycroft Holmes as a brilliant spymaster, but nonetheless a decent man who cares (advantage or no) for his younger brother. Knox doesn’t disabuse us of this. Not…exactly. But what if everything you thought you knew about Mycroft were slightly, well, skewed? And what if the evidence for this could be found in the canon itself? If “Studies” introduced The Game, “The Mystery of Mycroft” shows us how it can be played by a true master, without even a hint of the ridiculous. To share is to spoil in this instance, but after reading this, I felt both a strong desire for jam, and awe at the fictional possibilities waiting behind this particular curtain. Msgr. Knox was a prolific author who tried his hand at detective fiction, including Holmesian pastiche. The collection ends with a story which appeared in the February, 1947 issue of The Strand with the descriptive title “The Apocryphal Sherlock Holmes: The Adventure of the First Class Carriage.” It’s very short, and doesn’t contain every element listed in “Studies,” but it has an excellent “Watson voice,” and no one ventures the slightest bit out of character. Holmes solves the problem quickly, but early on, Knox presents a tell which, if you catch it (as I did), will pretty much give you the whole story. Believing in fair play as he did, I have to believe the good monsignor provided this intentionally. Up until now, I’ve only briefly referred to Professor Crowe’s “Introduction,” but it’s an essential and fascinating part of the book. Rather than providing a straight biography, Dr. Crowe shows how Knox’s life and theology are interwoven with his forays into the Holmesian world and, further, how the seeds he unwittingly planted in 1911 came to full flower (by 1934) and continue to propagate, even now. Chances are excellent that, if Ronald Knox hadn’t written “Studies,” or hadn’t written it in such a brilliant, meaningful way, everything we love about Sherlock Holmes wouldn’t exist. Or, rather, it would, but perhaps only to a very small group of enthusiasts–like, say, the current fans of Carnacki the Ghost Hunter. *** Whether or not you care for The Game, its infinite possibilities keep the Great Detective and his Boswell as active as any royal jelly ever could. It’s painful, then, to read that Knox observed, “it is so depressing that my one permanent achievement is to have started a bad joke.”† For one thing, given Knox’s influence as a priest and scholar, that’s probably not true. And even if it were, so what? Most of us probably think, at some point, that we should be doing something with a little more gravitas. We’re aware that the jobs we work at every day are not going to make us any more than cogs in the great machine of life and we’ll be forgotten, just as we’ve forgotten the names of our great-great grandparents and must therefore pay Ancestry.com a subscription to learn them. But while we’re here, we can enlighten and, better yet, lighten the burdens, of those around us, using the talents we’re given. So a flower arrangement will wither, but while it flourishes, it cheers or comforts or makes one feel loved. A batch of cookies does the same. The person whose gas cap you replaced at a stop light will always remember you, your red ball cap, and your old Ford truck. And the men and women who must get up and spend their days serving coffee or looking for IEDs, teaching preschool or performing CPR, delivering TPS reports or mopping floors–if those people can go home and rest their minds awhile in 1895 or one of its many versions, and afterwards feel able to go out the next day and do it all again cheerfully…. Well, then, that isn’t a joke. It isn’t a joke at all. It’s the best kind of legacy. ¹These are: Raymond Smullyan’s The Chess Mysteries of Sherlock Holmes (Dover Recreational Math, 2012) and Colin Bruce’s Conned Again, Watson: Cautionary Tales of Math, Logic, and Probability (Basic Books, 2002). Both are available on Amazon for you geniuses out there. ²Lawrence Frank, Victorian Detective Fiction and the Nature of Evidence: The Scientific Investigations of Poe, Dickens, and Doyle (Macmillan/Palgrave, 2003). According to the back blurb, the book “engages in a form of intellectual paleontology, tracing the genealogy of a genre through a model based on the Origin of Species read as a form of postmodern historiography,” and “investigates [detective fiction] as a genre promoting a secular worldview in a time of competing visions of the universe and human situation.” Which is a fascinating, multi-disciplinary approach…but be warned, it’s a trifle jargon-heavy. ³Tons. Those little symbols slide everywhere. ⁴Not to be confused with the shinigami, Ronald Knox, of Kuroshitsuji manga tales. Which I learned about in an image search. ⁵There is also a very strong (accurate) belief that Holmes, Watson (and often Mycroft and Mrs. Hudson) are still alive, Baring-Gould, Mitch Cullin and other presumptious writers notwithstanding. The reason for this belief is typically that none of these obviously prominent individuals have had an obituary in the Times (London), so they must be with us yet. And really, if an obituary showed up tomorrow, would you believe it? Not after EMPT I wouldn’t. ⁶Although nowadays people often use “Holmesian” to mean canon Holmes, and “Sherlockian” to refer to the BBC version, I try to hew to the traditional meanings: “Sherlockian” is an American enthusiast, while “Holmesian” designates the British variety. ⁷This is story element nine, “the criminal’s confession.” The Greek words, translated, mean “at the fleeing” and should have accurate diacritical marks, only I couldn’t figure out how to do that on WordPress. **”The Mathematics of Mrs. Watson,” p. 83. ***Not to disparage him unduly. The guy is creepy as heck. And we’ll be discussing him shortly. Would you tell me whether the book includes the Doyle’s letter to Knox (“I cannot help writing to you to tell you of the amusement…”) in full or only some paragraphs from it? Just checked–as far as I can tell, it reprints the entire letter. Sure–it’s pages 13 and 14. If you like, I can scan it and email it to you. Just provide your email in a comment…which I won’t approve, thereby keeping it private.